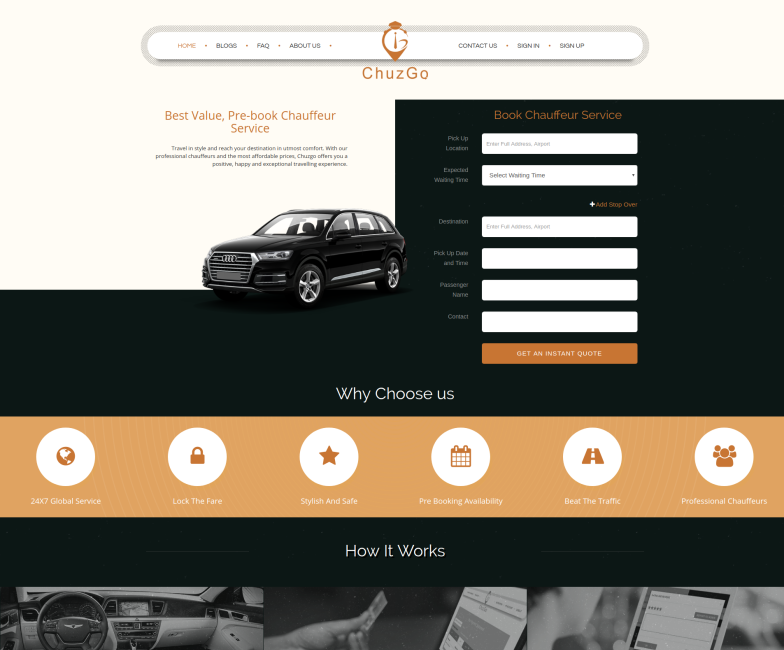 Chuzgo is a unique platform with an innovative idea of having professional chauffeurs to connect with valuable customers. Our efficient online pre-booking system, affordable prices and premium services make Chuzgo the best choice for all your travelling needs. We believe in delivering unmatchable service to our customers through our line of best vehicles and well trained professional chauffeurs. Chuzgo takes pride in having our chauffeurs not just as drivers but our partners and the commission charged from them is almost three times lower that helps our chauffeurs to compete with rideshare companies.